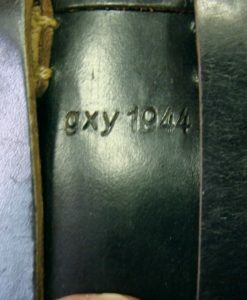 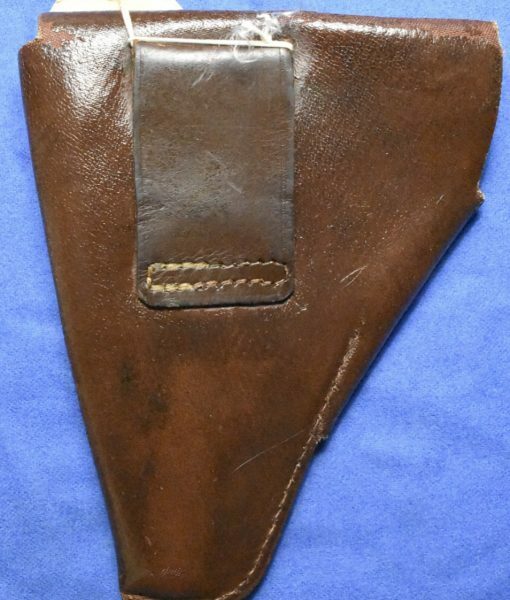 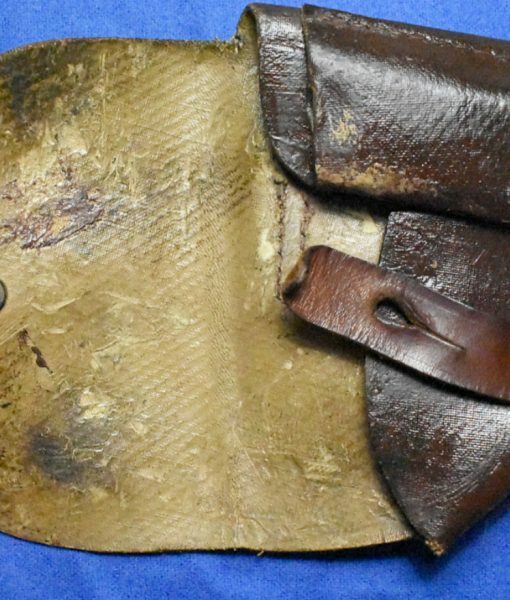 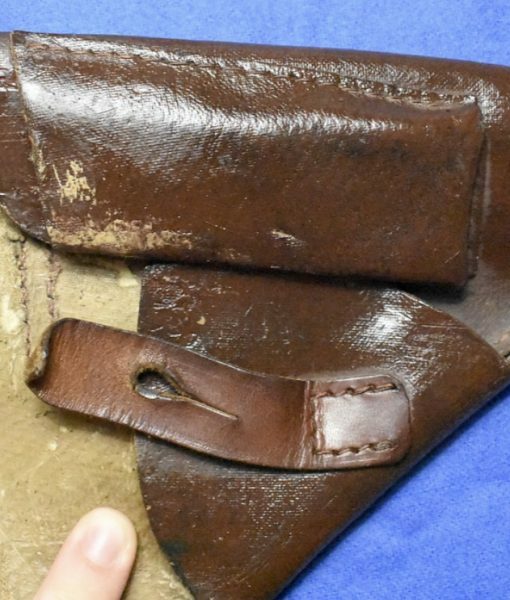 In great condition which for a holster of this type is most uncommon, we have Ersatz leather holster for a Sauer 38H or Mauser HSc, it will fit either of these pistols. 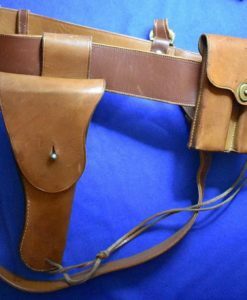 The mag pouch closing strap and belt loop are leather. 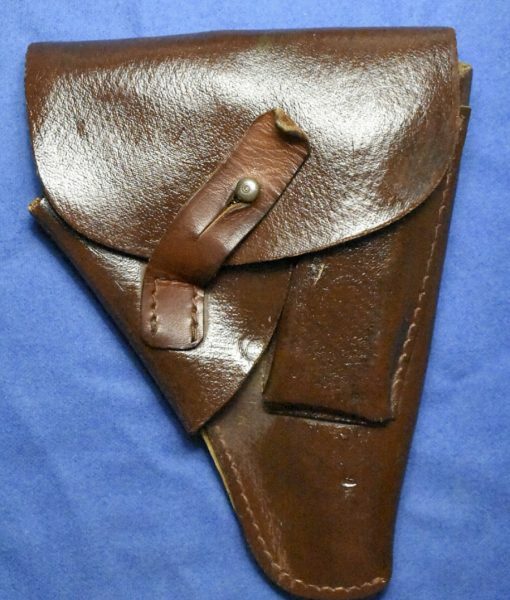 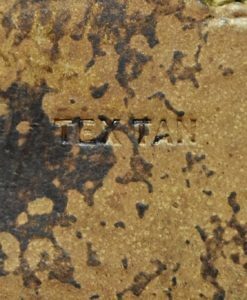 This is a very rare and rather well made holster!